Complete range of Electrical Panels i.e. P.C.C. and Bus Ducting up to 6250 Amps. MCC Panels, Control & Relay Panels, AMF Panels, PLC based Auto Synchronizing and Auto Load Sharing Panel etc. IP: 54 degree of protection. World class Silent / Acoustic Gen sets from 7.5 KVA to 3000 KVA. Majorly looking for buyers from African Countries. We, LUCSAM SERVICES PRIVATE LIMITED, since 2005, are leading exporter, supplier, trader, wholesaler manufacturer and service provider of Control Panels, Industrial and Diesel Generators. 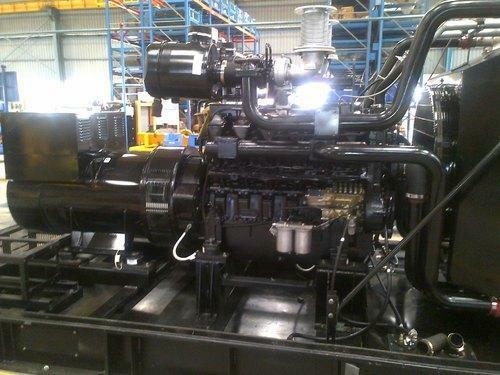 Industrial Generators, Diesel Generators Cummins and Control Panels are heavily demanded among our broad assortment of products. Empowered by ambitious approach of fulfilling power needs of every sector with great efficacy, our products are widely recommended in the market. We are committed to achieve leadership in this domain by offering highly robust, efficient and fuel efficient generators. With the aid of our authentic vendor base, we aim to provide vast variety of generators and control panels, thus fulfilling every precise needs of customers. With the aim of serving vast clientele base with utmost satisfaction, we have developed new age infrastructure system. We utilize advanced quality testing and capacious warehousing facility for serving clients qualitative range of products. After procurement is done from trusted vendor source, we examine these generators and control panels under strict quality parameters for ensuring their long duration performance. We have with us pool of highly skilled professionals, who with their extensive adeptness have gathered us various estimable customers such as HCC Limited, Bajaj Electricals Limted and Bharat Sanchar Nigam Limited. We are also looking for Export Inquiries from All Over the World.